US edits to OpenStreetMap 2007-2012 from ItoWorld on Vimeo. 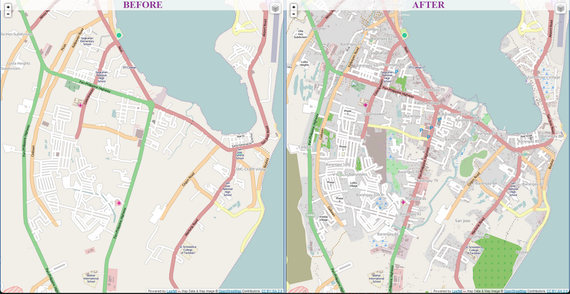 Resource #1 (on scoop.it): This video shows an animated update of edits to Open Street Map from 2007-2012. Open Street Map is being hailed as the new generation of cartographers in their ambitious project (think Wikipedia for maps). What are some advantages (and disadvantages) to an open source mapping data set compared to a commercially or governmentally produced data set? 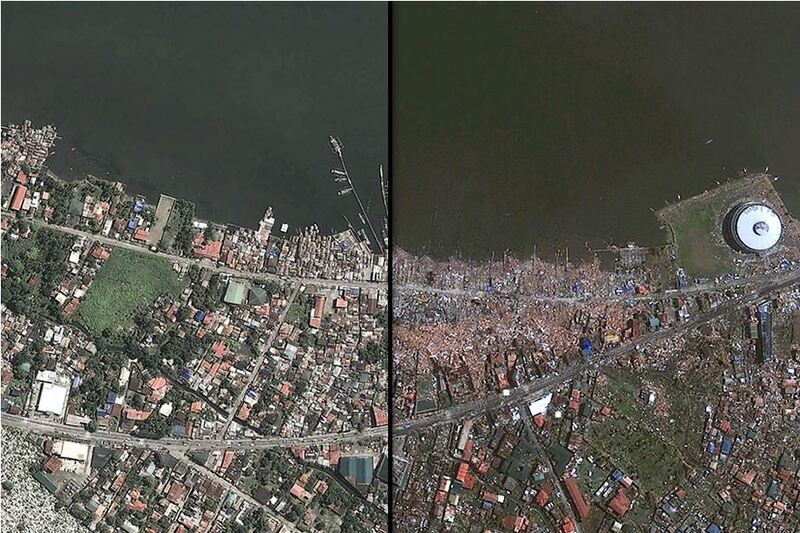 Resource #3 (on scoop.it): Tyhoon Haiyan has been utterly devastating. See these before and after shots. Resource #4 (on scoop.it): Want to see geographic knowledge and geospatial skill sets in action? This article in the ATLANTIC shows how crowd-sourced mapping is increasingly an important resource during an emergency. Poorer places are often not as well mapped out by the commercial cartographic organizations and these are oftentimes the places that are hardest hit by natural disasters. Relief agencies depend on mapping platforms to handle the logistics of administering aid and assessing the extent of the damage and rely on these crowd-sourced data sets. Can you join in and help? Open Street Map is the largest, most accessible crowd-sourced mapping platform. Create a profile, and you to can help give the world a more accurate map.